Have you ever felt like you want to be part of the movie or wished you were there or thought "what if I could smell the space as the actors describe beautiful scenes"? Well, we can almost do this now with 4DX, the immersive multi-sensory experience technology! 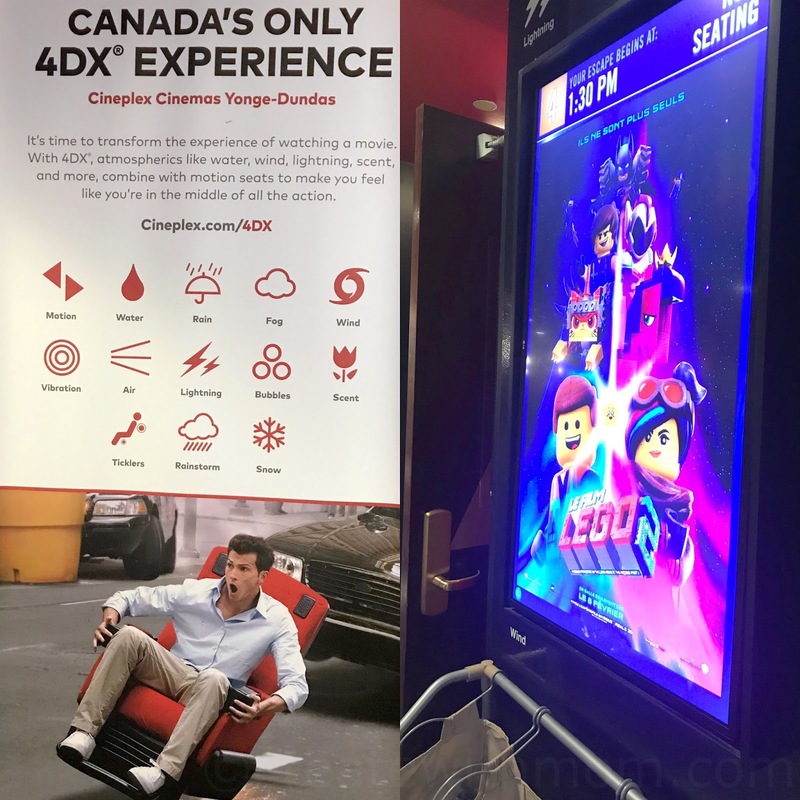 We were thrilled to watch the release of Warner Bros "Lego Movie 2" in 4DX. 4DX auditorium incorporates motion-based seating that is synchronized with more than 20 different effects which allows the audience to connect with movies through motion, vibration, water, wind, snow, lightning, scents, and other special effects that enhance the visuals on-screen.